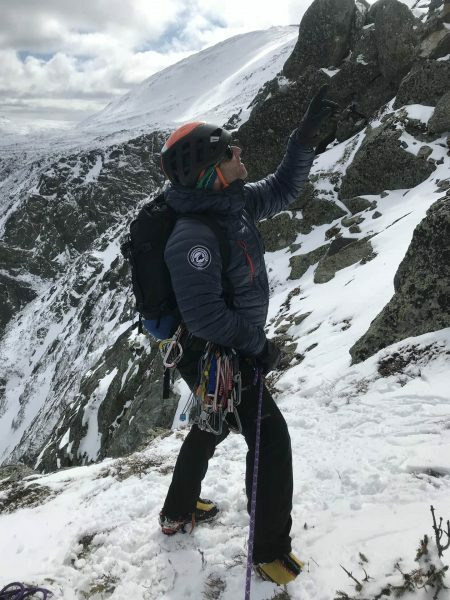 We’re back this morning to give a shout out to the remaining guides of the International Mountain Climbing School – the regular cast of characters that can be found guiding and exploring in the White Mountains on a daily basis. These folks have logged an incredible amount of time in the mountains, at the crags, and on the backcountry ski runs that the North Conway area is known for. They’ve been there both personally and professionally, and going out climbing with any one of them is always a treat. AJ Hunter balances his time between guiding for IMCS, working at IME, and running his own guiding operation, Mountain Life International. Fortunately, he was available to guide Ice Fest weekend because AJ is a great, patient teacher who always puts his clients’ comfort and care before all else. With climbing experience from Alaska to Nepal, this is one good dude to spend a day in the mountains with! 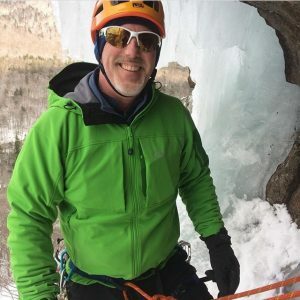 Most ice climbers know Al Hospers as the generous, hardworking guy behind NEClimbs and the White Mountain Report, he has also been involved in the guiding game for quite some time. Al enjoys working with clients of all levels and experience, helping them to find that same enjoyment that he finds every time he climbs. Plus the guy can play a mean bass line. With climbing and education being Alex Lyttle’s passions, it’s no wonder he makes for a great guide. 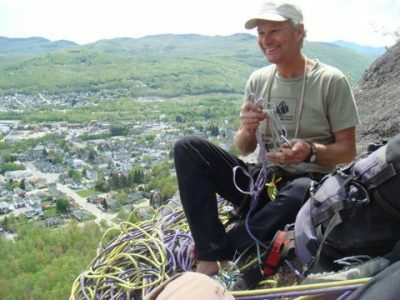 He works here in the Valley for IMCS, as well as in the Gunks for Mountain Skills. When not guiding, he focuses on outdoor education and works across the country for high school and university outdoor programs. Recently, he even helped to start an outdoor-ed program based out of Colorado! Check it out – BOAT! 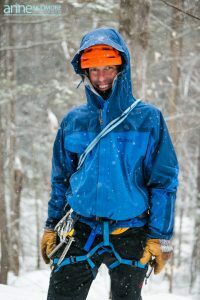 Chris Graham has established numerous first ascents in New Hampshire, climbed all over the American West, and travelled internationally to Ecuador and Peru. 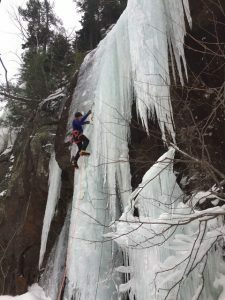 Guiding for over 20 years, “Grammy” is known to be a thoughtful and patient instructor on the rock, ice, and alpine zones that New Hampshire offers. Conrad Yager. Calm, cool, crusher. 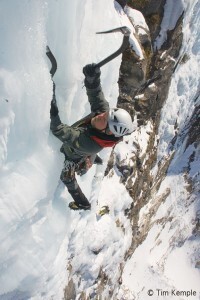 Conrad’s climbing career began in the Marine Corp as a climbing instructor. Since that time, he has been guiding in New Hampshire and chasing personal climbing pursuits in Nepal, Alaska, Ecuador, Spain, Malta, Thailand, and Canada. He can be spotted on the cover of “An Ice Climber’s Guide to Northern New England” wearing a onesie and sending hard. Due to extended stints of guiding in the Pacific Northwest, as well as impressive carpentry projects, Chris Magness has been missed in recent years. Now that he’s back in town, we are psyched to see him again and to tap into his skill set and knowledge for a Glacier Travel & Crevasse Rescue Clinic. We’re also grateful for Chris’s work as a founding member of the nonprofit, Keep the Whites Wild. John Kascenska is the go-to guy for IMCS’s avalanche curriculum. Having taught over 100 AIARE courses, this guy is dialed and it’s no wonder that the avy courses fill up so far in advance. When John isn’t out with a beacon, shovel, and probe, he can be found at Lyndon State College where he founded the Adventure Leadership degree program. Pat Ferland has been part of the IMCS family for a long time, and we’re always lucky to have him back on board! Known for his local knowledge and sweet demeanor, Pat is just the kind of guy to be honing in your mountaineering skills with! Paul Cormier. This guy has been everywhere and climbed everything, and often he did so well before anyone else. 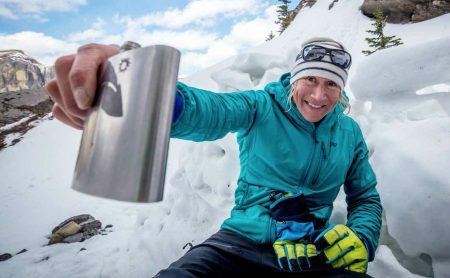 From backcountry rock routes in New England to remote peaks in the Southern Andes, Paul has a remarkable climbing resume. 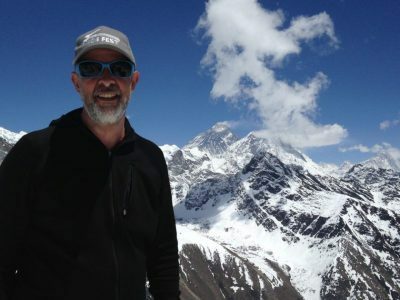 He has guided extensively on large, glaciated mountains in Bolivia and Argentina, making him the perfect choice for our glacier travel and crevasse rescue clinic. 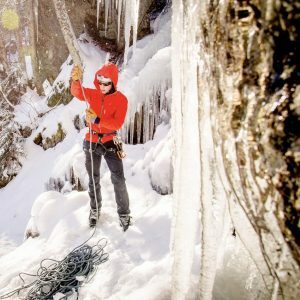 It’s time to celebrate the guides of the International Mountain Climbing School – the regular cast of characters that can be found guiding and exploring in the White Mountains on a daily basis. These folks have logged an incredible amount of time in the mountains, at the crags, and on the backcountry ski runs that the North Conway area is known for. They’ve been there both personally and professionally, and going out climbing with any one of them is always a treat. Paul McCoy came to North Conway in 2002, inspired by the mountains and their limitless playgrounds. Whether it has been tied in to a rope, or clicked into a pair of skis, he has explored every nook and cranny of these hills. His experience isn’t limited to New Hampshire though – Paul has climbed extensively throughout the American West, as well as in New Zealand, Australia, and Spain. In 2008, he started guiding with IMCS, and has been a staple to the scene ever sense. Zebulon Jakub is known for his fascination with the technical components of climbing. The dude is a treasure trove of information, and in an alternate universe, he probably exists as a brilliant engineer! In addition to being a stellar skier and climber, he is also a super experienced paraglider and snow kiter. Craig Taylor has been working as a guide in the Mount Washington Valley for 25 years. In that time he has become well-versed in all forms of guiding and has served as an advocate for the profession. The dude is psyched on guiding and is a proud father. An excellent and knowledgeable instructor, Craig will be teaching one of the weekend’s Learn to Lead courses. Justin Guarino is a recent addition to the IMCS team, but we’re psyched to have this big-mountain crusher on the roster. 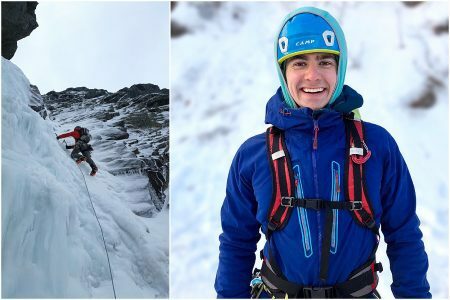 Justin’s experiences with high-end alpine climbing in the Great Ranges give him an impressive background to pull from when guiding and climbing here at home. And although he’s new to IMCS, he’s been around the Mount Washington Valley guiding for the last 5 years. Tyler Allen is another new name on our roster, but he’s already been great to have around. The dude is solid and psyched, and it’s easy to see that Tyler is a great teacher. When he isn’t guiding, Tyler is a researcher at Dartmouth College who focuses on understanding the regional geology of East-Central Alaska and the Yukon Territory. Rumor has it we’re getting close to rolling out our clinic offerings for 2019 and we’ve got guest guides on the brain! Time to start rolling out some of our guides for Ice Fest’s 26th year! Excited to say Matt Shove is back! Matt will be leading clinics all weekend, if you sign up with him you’re in for a treat! 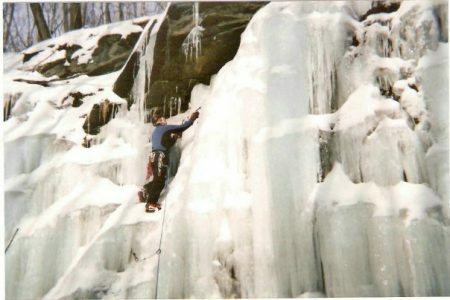 Matt is the owner of Ragged Mountain Guides in CT, founded in 2010. 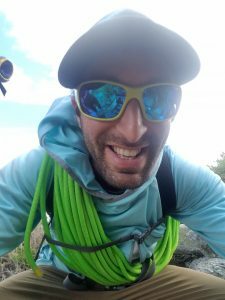 He is an AMGA Rock Instructor and AMGA Assistant Alpine Guide; we’d go on listing his creds but -trust us- they stack up: right down to Eagle Scout. We’re stoked to have him back. Stay tuned for his clinics and grab them fast once they go live! Outdoor Research is BACK as Headlining Sponsor! Hey Folks, winter is moving in here and we gotta start sharing more of the goods with y’all! We just got word from our great friends at Outdoor Research that they will be back again as the Headlining Sponsor to this year’s 2019 Mount Washington Valley Ice Fest! These guys and gals have been going big for Ice Fest for years, and we couldn’t be more honored and excited to have them back! Stay tuned in the months to come for more info on what Outdoor Research will be bringing to the event. Guest guides, killer demo gear, and unbelievable support! We’ll keep you posted! In the meantime, check out their story. It’s a sweet little video that makes you feel pretty good about supporting a company like Outdoor Research. Plus, there is tale of how an epic on Denali led to the creation of the company. Pretty wild and impressive! “It’s not how often we get out as much as how often we want to be out that makes us who we are. Our goal is to do all we can to expand the tribe of people who share our belief that progress is spiritual and life is unimaginable without the quest”. Cheers! Thanks for being so rad, Outdoor Research! We heart you guys big time! And don’t forget, the mountains are calling. Nothing better than a freshly stacked pile of tools, crampons, ropes and helmets waiting for you to try out for the day on the house, is there? Liberty Mountain is brining back a stacked demo fleet of Grivel hard goods again this year. We just wanted to highlight two NEW TO ICE FEST items thrown into the mix this year! 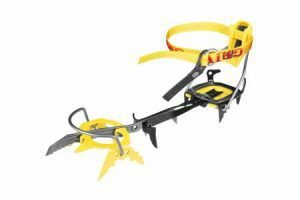 The lightest technical crampon in the world. Replaceable hot drop-forged front point. New central points to improve the stability while descending. A well known system which relies on a nylon speed lever in the rear and a stainless steel front bale to hold the boot. Quick to put on, these bindings are perfect for plastic mountaineering boots that have a rigid sole and substantial heel and toe welts. 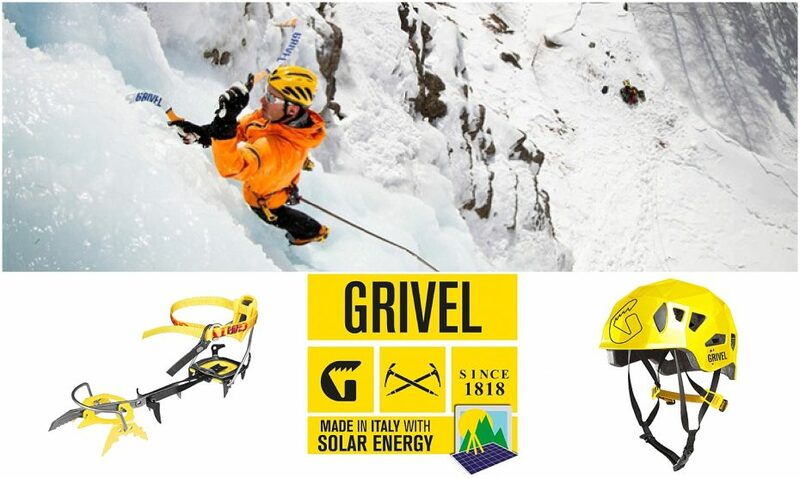 The stainless steel safety strap, which was invented by Grivel, is permanently mounted on the front bale and prevents total loss of the crampon should it be forced off the boot. Hard-shell version of the innovative Stealth helmet, for those who favour durability over pure lightness. The best solidity through the Stealth multifaceted design, which increases the rigidity of the shell and allows thinner thickness. No metal parts, which could dangerous in case of an impact. Inner EPS shell for absorption, with an outer hard ABS shell which protects the head and nape. 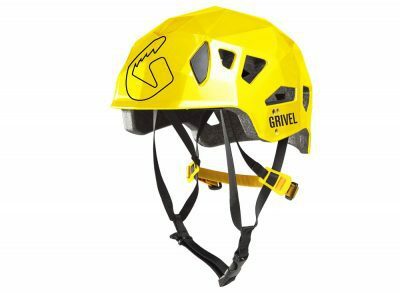 The adjustment system tucks into the helmet for compact storage in your pack or haul bag.